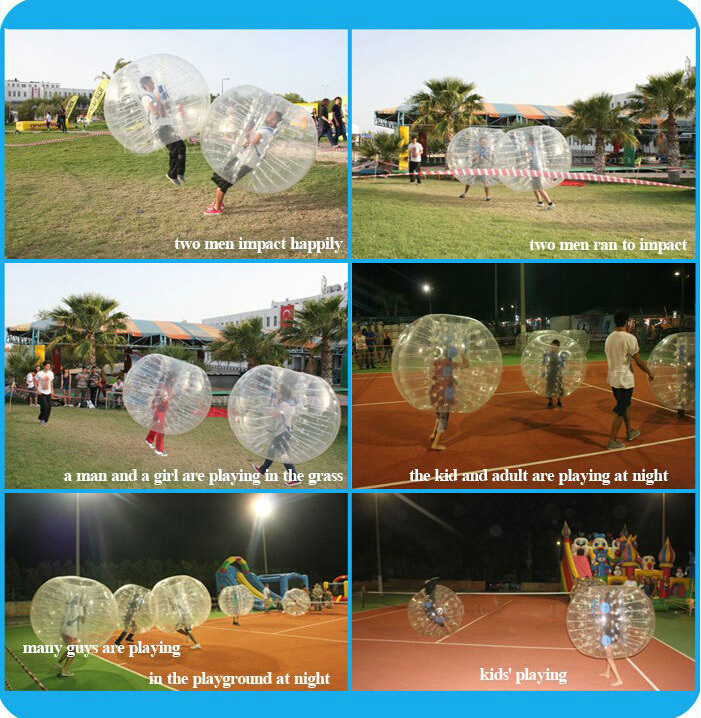 Bumper Ball is where teams of people get together to play football or soccer wearing giant bubbles (sometimes referred to as Body Zorbs or Loopyballs), allowing them to bump, roll and flip over whilst trying to score a goal. Bumper Balls can be used by small children as well as adults. 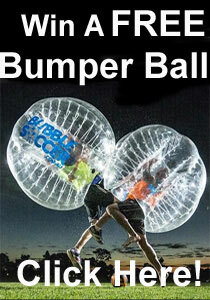 1): What are Bumper Balls? The balls themselves are like giant inflatable bubbles that can be worn comfortably by adjusting the padded harness. The balls allow you to bump, roll and flip over without any risk of injury. 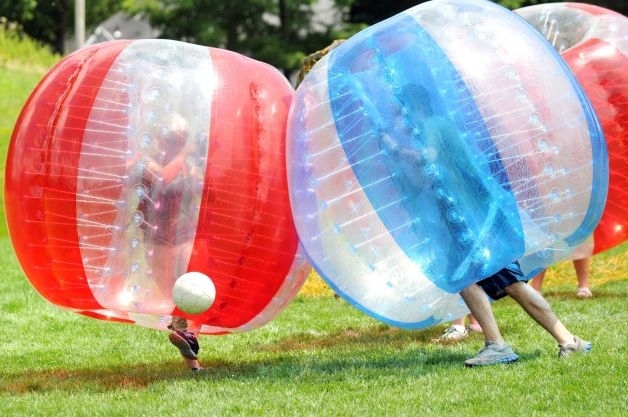 2): What can Bumper Balls be used for? 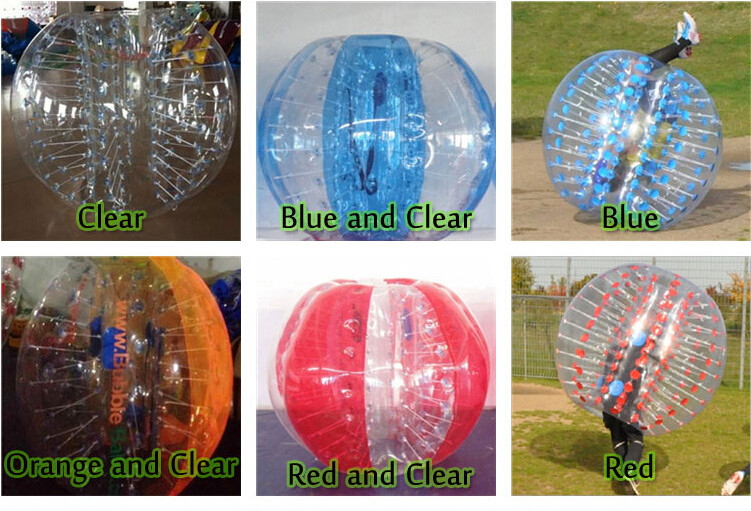 3): Where can Bumper Balls be used? 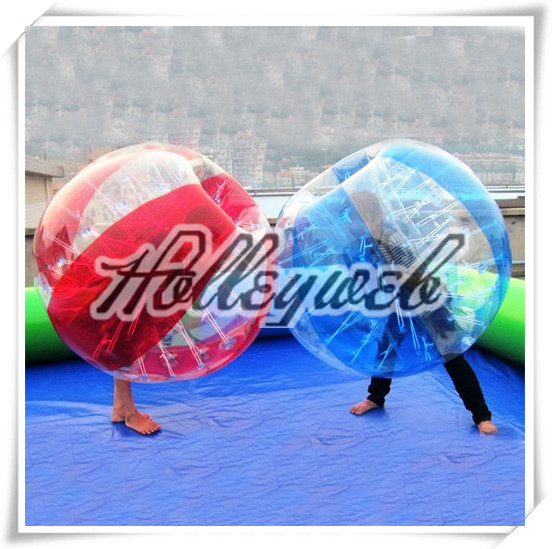 We recommend using the Bumper Balls on either grass or wooden floors such as basketball courts or sports halls. 4): Who can use Bumper Ball? the ball which is easily adjusted to get the perfect fit, no matter what your size. 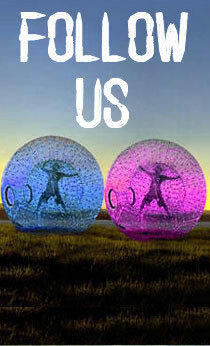 5): Is there an age limit for Bumper Ball? The minimum age is 7 years old and the maximum is 99 years old (as long as you’re in great health)! 6):Is there a weight limit for Bumper Ball? There is no minimum weight limit, but there is a maximum weight limit of 100Kgs. 7): Are you likely to get hurt? 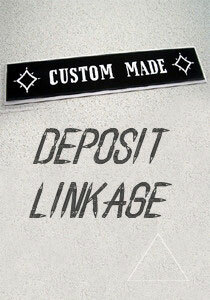 The equipment has been extensively tested and it’s near impossible to get hurt as long as you follow our guidelines. 8): How many Bumper Balls are available? 9): How to maintain and storage?